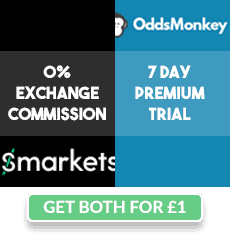 Matched betting in shops is an easy way to add some extra profit each week, especially if you have a bookmaker shop near you. In this guide, you will learn exactly how to bet in bookmaker shops and how to use the Coral and Ladbrokes loyalty cards. Which Bookmakers Have Offers In Their Shops? Besides having offers online, some bookies have offers in their physical shops as well. Two of the most profitable in-shop offers are from Coral and Ladbrokes. Coral’s Free Bet Club (bet £25 get 2 x £5 in free bets) includes a £5 free bet to be used in their shops. Ladbrokes run their “money back as a free bet if draw” offer in-shop sometimes on popular fixtures on football games. They run a similar offer on their website, but on their website, the only markets that would qualify for this offer is half time/full time, correct score and first goalscorer. If you were to place your qualifying bet in shop instead, the win-draw-win market would qualify for this offer as well, which would have much closer odds with the exchange. That means if you place your qualifying bet in shop, you could place a bet on Arsenal to win instead of placing your bet on the correct score, where the odds would be much further away from the exchange. Coral and Ladbrokes also run in-shop casino offers weekly, but as all casino offers go, they are not risk-free, and you may lose your money trying to do these offers. One of the offers they do are “bet £20 on Superman 2, get £10 in machine credit and £10 online credit”. Their in-shop casino offers may differ from week to week. You can check out the week’s casino in-shop offer from Coral and Ladbrokes on the OddsMonkey Daily Offer Calendar. To place a qualifying bet or use a free bet in shop, you would need a membership card by Coral or Ladbrokes. Coral’s membership card is called the Connect card and Ladbrokes’ membership card is called the Grid card. To apply for a Connect card, just visit any one of Coral’s shop, and tell the counter staff you want to apply for a Connect card and you have a Coral online account. Just give them your Coral account’s username and they should be able to get your information and register you for a Connect card. Once you have your Connect card, it should be connected with your online Coral account. Much like the Connect card, to apply for a Grid card, just visit any one of Ladbrokes’ shop and tell the counter staff you want to apply for a Grid card. Tell them you already have an online account with Ladbrokes, and give them your online account’s username. 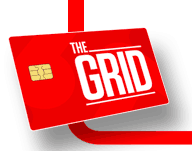 They should be able to get your information and register you for a Grid card. To check the back odds in-shop, there should be a counter where all the betting coupons are placed. You can then look through these coupons and find the selection you want to place a bet on. The odds for the selection should be printed on the coupon, but in fractions instead of decimals. Shop coupons do not offer decimal odds, and you’d have to use a calculator to convert the fractional odds to decimal odds manually. Therefore, the decimal odds for 7/4 is 2.75. For more information on this, please see Fractional to Decimal odds guide. Once you have checked the back odds, it’s time to check the lay odds on your exchange to find a close match. Checking your exchange on your phone in the shop is generally not recommended, you might get gubbed if you’re caught. Instead, you can just sit down on the chairs provided, take your smartphone out and pretend you’re checking your messages or something, and check the lay odds quickly. Or you can take a picture of the coupon, go outside to a nearby coffee shop and compare the odds to find a close match. Once you have found a close match, you can now place your bet in the shop. The back odds in shops are normally not as good as the odds found on their websites. Therefore, you may have to accept a slightly larger qualifying loss or accept a slightly lower profit retention from your free bet. Note that sometimes the back odds may have changed between the time of print to the time of you placing the bet. Therefore, to confirm the odds, check the bet receipt that the staff gives you after you have placed your bet. The odds for your bet would be printed on the receipt, but in fractions instead of decimals, which you can then convert using a calculator. To place an in-shop bet with Coral or Ladbrokes, just use their coupons provided and shade the selection you want to place a bet on. Shade the stake you want to place the bet with and hand over the coupon to the counter staff. Tell them you want the bet to be placed with your Connect / Grid card. Most in-shop offers only applies to bets placed with your Connect / Grid card, so if you place your bet without your Connect / Grid card, it might not have qualified for the offer. For Coral’s offers, you can place your bet with the money in your online Coral account and you don’t have to hand over any cash. For Ladbrokes’ offers, you cannot place your bet with the money in your online Ladbrokes account. You’d have to place your bet with your cash. If you don’t have any cash on you, but have some cash on your Ladbrokes online account, you can request for a withdrawal from your online account. You can then use the cash you withdrew from your Ladbrokes account to place the bet with. After placing your bet in-shop, the counter staff would print out a bet receipt and hand it over to you. Keep it safe, as that’s what you’ll use to collect your winnings if your bet wins. With Coral, if you had placed a bet using your Connect card, you don’t have to return to the shop to collect your winnings if your bet has won. After a couple of hours after the game you placed your bet on has settled, you can check your winnings by logging into your online Coral account and clicking on “My Account” on the top right. Click on “Account History”, and under the “Product Type” menu, change it to “retail” and click “View History”. Your in-shop bets and their winnings should be displayed here. If your in-shop bet has won and you haven’t got any winnings yet from this menu, you can check back the next day as it may take some time for it to appear. With Ladbrokes, if your bet has won, you’d have to return to the shop and show them your bet receipt. The staff counter will then pay you your winnings in cash. Similarly, if your bet has lost, but you qualify for a free bet because the game was a draw, just show them your bet receipt and they’ll issue you a free bet. If you had qualified for a free bet from Coral (either from their weekly club or other offers they may do), you can approach the counter staff and ask them to check if you have a free bet in your account. Give them your Connect card and they will print a free bet out for you if you have one in your account. However, some shops won’t do this for you. You will then have to place a bet with your own cash to release your free bet. You can choose to place a bet on a team with very low odds and with a 25p stake to minimize your chances of losing your money. Even placing a 25p bet will release your free bet for you. Facebook Group - Ask 2,500+ fellow matched bettors (including me!) any questions you have. Join the Group!